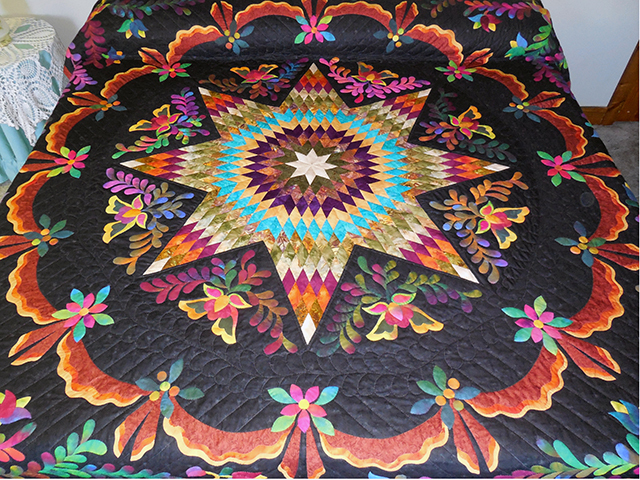 What an extravagant design! 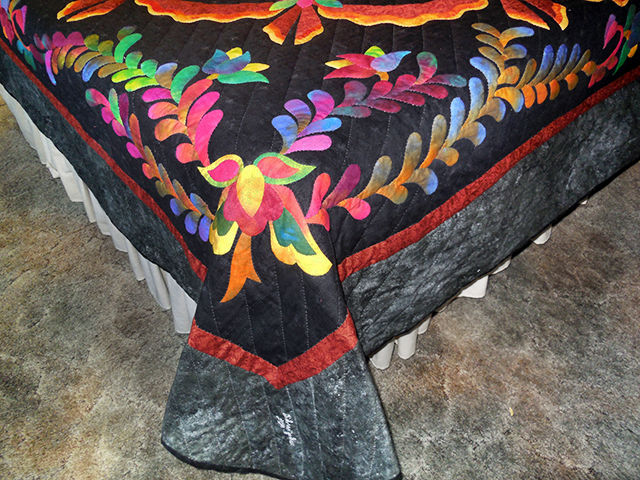 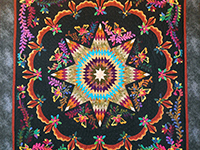 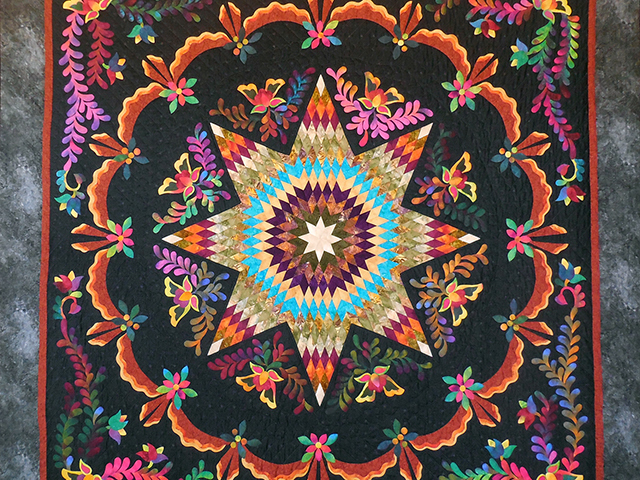 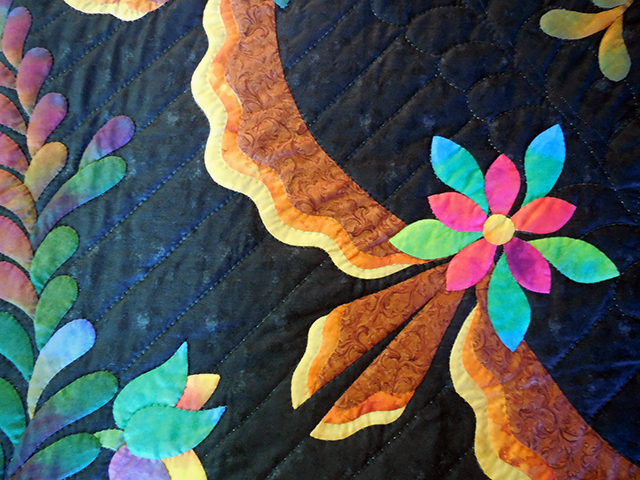 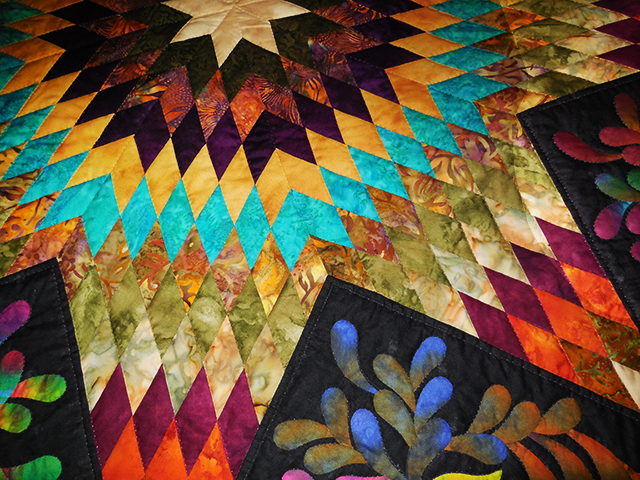 A truly unique original quilt by Dolores Yoder. 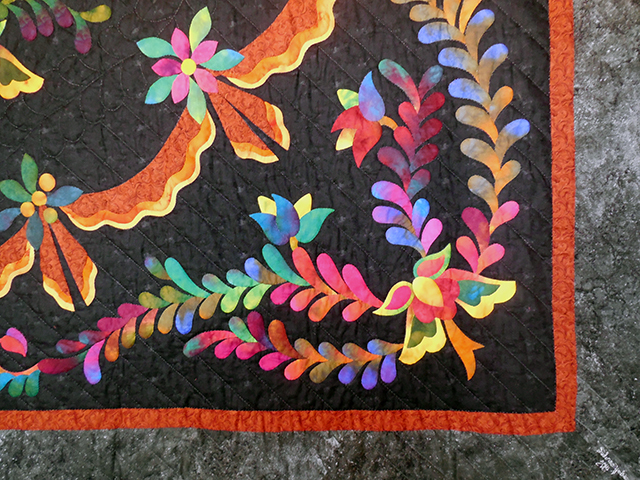 Fantastic wonderfully colored applique work coupled with super sharp patchwork. 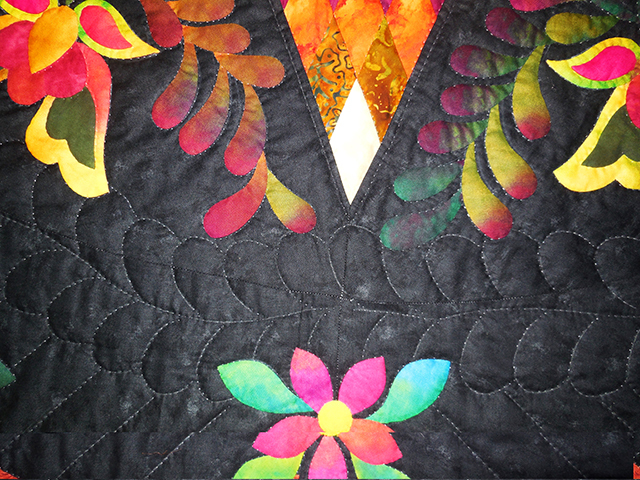 The background is a slightly variegated black cotton print. 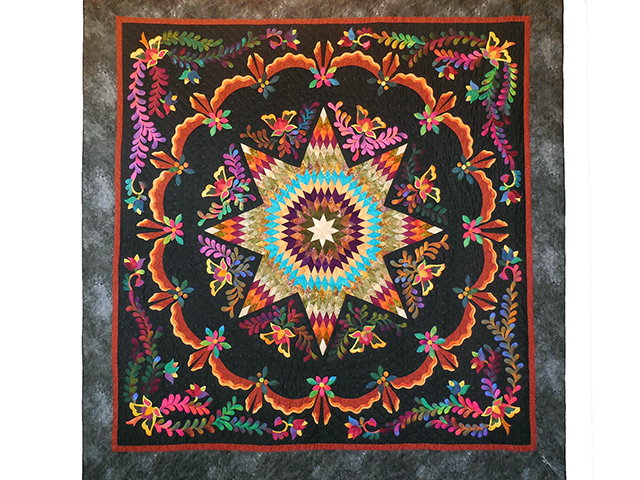 Dolores made the top and an Amish friend did the fine quilting with 6-7 stitches per inch.